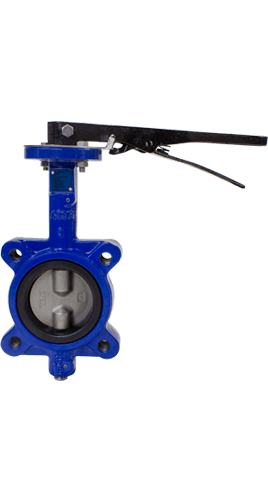 Manufactured using ASTM A395 ductile iron, the Flow+ ductile iron resilient seated butterfly valves are available in both wafer and lug body styles. 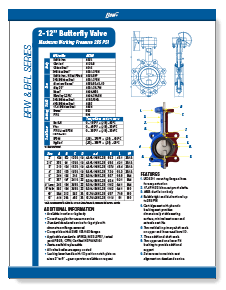 Compatible with ASME 125/150 flanges, the Flow+ ductile iron resilient seated butterfly valves come with a 10 position locking lever on sizes 2” to 8” – gear operator available on request. • Two molded-in primary shaft seals on upper and lower seal bore I.D. For almost 15 years, ValvSource America has continually committed itself to offer the best ductile iron resilient seated butterfly valve products to meet a wide range of applications and requirements. As an industry leader, ValvSource America has your perfect ductile iron resilient seated butterfly valves solution. Our success in the valves industry is attributed to our customer-centric team of sales personnel, engineers, and trained staff that are collectively committed to providing quality products at a price you would come to expect.